• Responsible for advancing Mobisol credit function, providing leadership, management and spirit necessary for the customer finance department to achieve its goals. • Provide a strategic direction of credit department within the organization. • Responsible for the review and approval of commercial credit proposals of the company and to maintain a good balance between returns and risks exposure. • Play a key role in development of new lending platform, establishing and updating all lending policies and guidelines. • Foster a strong credit culture in the organization, build and lead teams that act in accordance with Mobisol’s policies and sound credit delivery principles e.g. Ensure high standard credit quality of the portfolio at all times. • Analyse, evaluate internal and external risks, and provide relevant pre-cautions and solutions to the risks. Provide requirements and design inputs, particularly with regard to credit risk recognition, measurement and its reporting as a part of core team for implementation of key credit risks. o Ensure staff understands the context of their roles in relation to Mobisol’s strategy. o Ensure staff in your department when performing their duties exhibit proper / acceptable behaviour. o Ensure performance consequences are taken by the line managers in your department i.e. recognize best performers and manager poor performers from time to time through both, formal and informal feedback. o Assess and monitor the training and development needs of the staff in the department. • High familiarity with the Tanzania Credit Bureau system, Microsoft Excel, Access, wording skills and understanding of Office 365. • Strong analytical skills, attention to details and able to assess risk while protecting the interest of the company, customers and investors. • Strong communication, presentation skills, negotiation, very good organisational and interpersonal skills, dynamic self-starter and team player. • International work experience with, or exposure to, partners based outside East Africa is an added advantage. • Ability to work in a fast growing dynamic environment (not afraid of change). 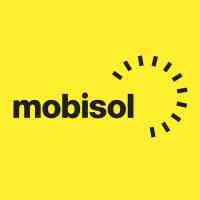 Mobisol is an innovative company both in production innovation, selling tactics, professional tactics and most of all an ethical company. Mobisol focuses on improvement of its operation through its passionate employees, our customers have always been the core of our business. Providing most wonderful experience and journey of lighting up the world. Our Company encourage its employees to seize opportunities and foster diversity depending on your qualifications and experience. We believe in believes in sustainable development, with a vision to plugin the world through renewable energy Solar Energy to be specific. • A fast-growing environment to foster personal and work growth.